Hail Damage to Gutters – Repair or Replace? I recently received an inquiry from a homeowner who, following a recent hail storm, had his gutters damaged. He asked if he should seek to have his insurer pay to have them painted or replaced. Although aluminum gutters can be repainted, this will become a process that will have to be repeated again and again over a period of time. Even while the original surface will change color or become dull over time, the original surface is baked on and will not peel or crack, as will paint. Painting gutters are, over time, the most expensive and least effective option. This also applies to a metal siding. A home owner’s insurance policy entitles that the home is restored as close as possible to the condition that it was prior to the loss event. Painting a gutter or metal siding does not accomplish this. Replacing it does. If it is bad enough you will need to replace them. 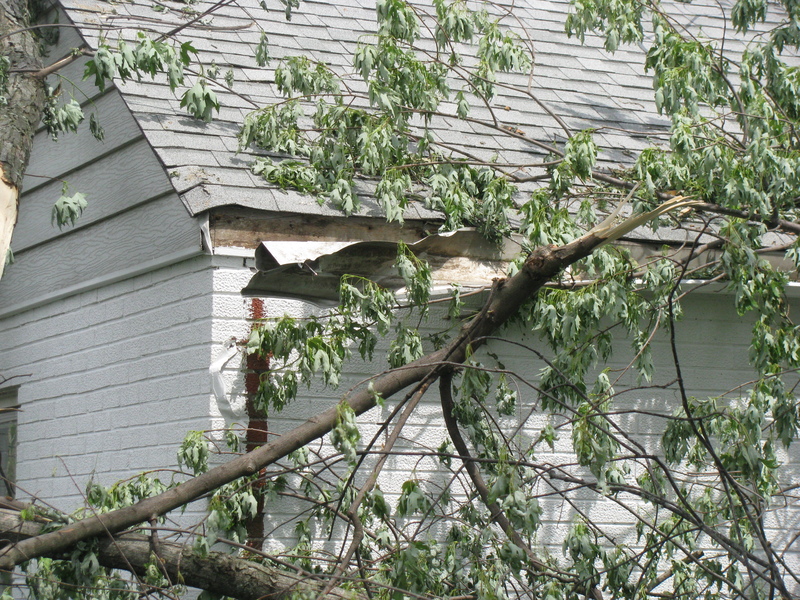 Home owner’s insurance will definitively help with the cost and fixing it. I would have a professional home remodeling and repair company check out the damage and what needs to be done. High quality aluminium gutters will not create such problems. Seasonal cleaning is the only requirement to enhance its lifetime. Most economical and efficient way!